I found these luscious furnishing prints and I am making ????? for those in the 2 day classes!! All will be revealed later! And yesterday I had a wonderful email with this photo. 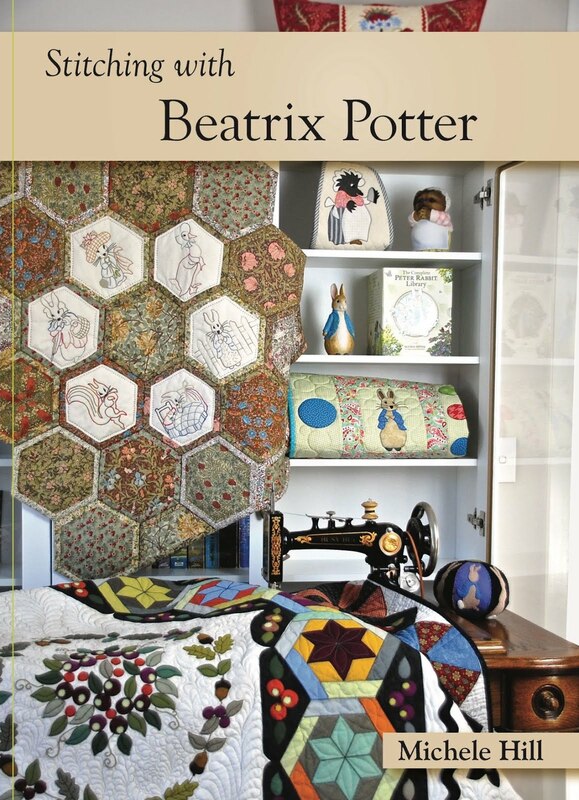 It came from Judy Carrow, a quilter from Queensland who has been teaching machine applique using designs from the book. 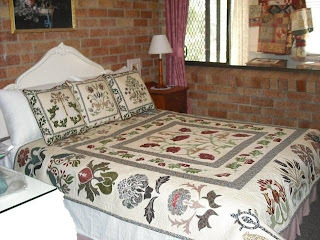 This is Judy's quilt and cushions - just beautiful. It is lovely to see designs reworked............I only usually ever see my own so if you are reading this and have ever done one of my patterns please send me a photo. 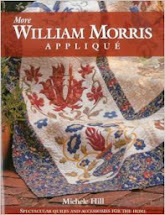 This is the first time I have seen the 'Morris & Friends' quilt re-made, apart from my own. 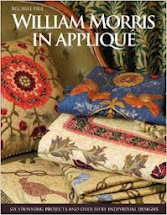 Thankyou Judy for keeping the genius of Morris alive and for allowing me to share your stunning work. Northern Lights is coming back! The picture for this blog entry is of the black & white room at home - it is finished! 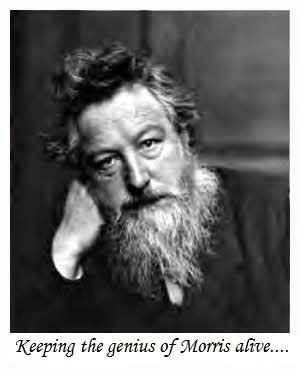 It is simply stunning and one building even had a William Morris image. So if you can come I will escourt you personally! We have also been doing up the bedrooms in our house - painting and new carpet this week....my gosh that is no mean feat - it is like moving house having to pack and move everything out of 3 bedrooms - Aaaagh!! I have had a dream to have a black & white room for some time which is why I originally made the black & white brocade style quilt. I recently found a beautiful chair for the room....thought I would show it off!! And last week Betty and I had the 1st trading table for the aged care facility...here we are with all the bears and coat-hangers!!! All bears but one were sold before the day!